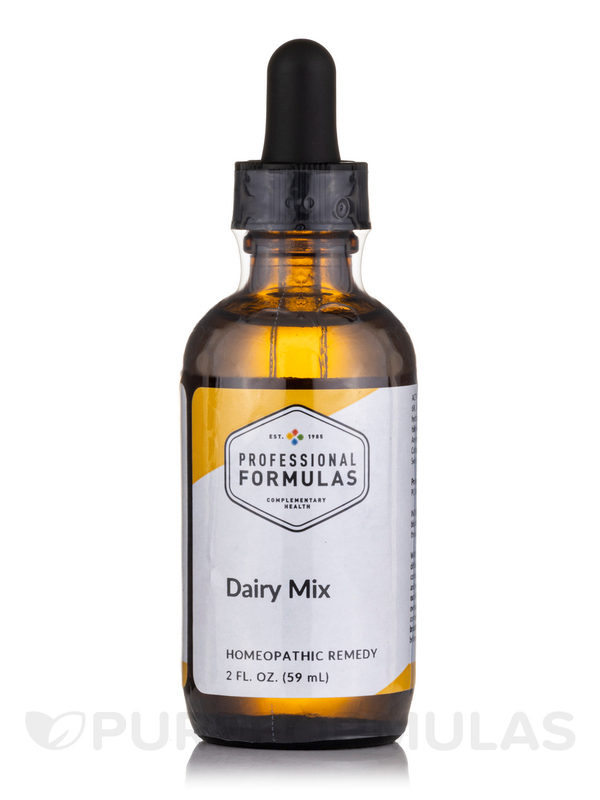 Dairy Mix by Professional Formulas features ingredients that may help certain individuals deal with intolerance to dairy. Adrenal 3X‚ 4X‚ ACTH 6X‚ 30X‚ Histaminum hydrochloricum 12X‚ Liver 6X‚ 12X‚ Cheeses: American‚ Cheddar‚ Camembert‚ Cream‚ Brie‚ Swiss‚ Blue‚ Cottage‚ Parmesan‚ Ricotta‚ Edam‚ Milks: Cow‚ Goat‚ Human all at 6X‚ 12X‚ 60X‚ 100X‚ 20% alcohol‚ purified water. 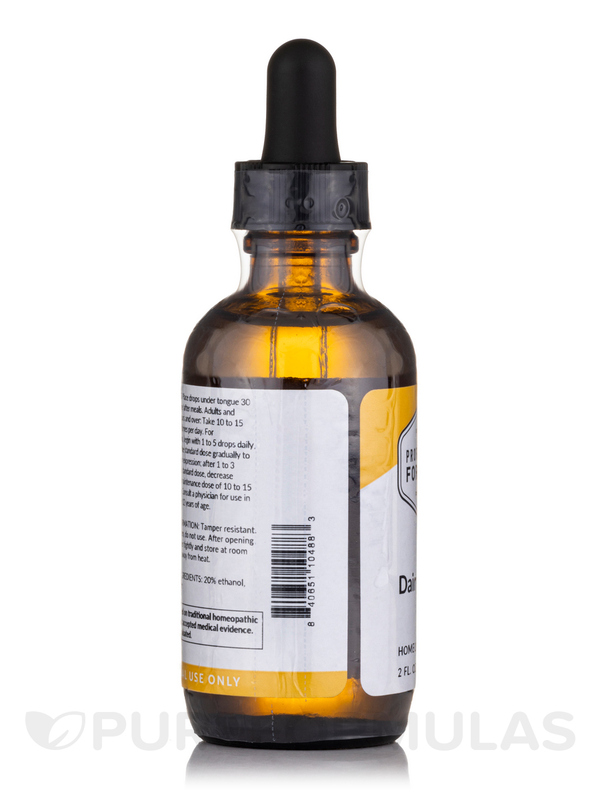 Adults: 10-15 drops under the tongue 30 minutes away from meals‚ three times daily or as directed by a healthcare professional. For desensitization: begin with 1-5 drops daily‚ increasing to the standard dose gradually to avoid symptom expression; after 1-3 months at the standard dose‚ decrease gradually to a maintenance dose of 10-15 drops weekly. Children 4-12: One-half adult does. 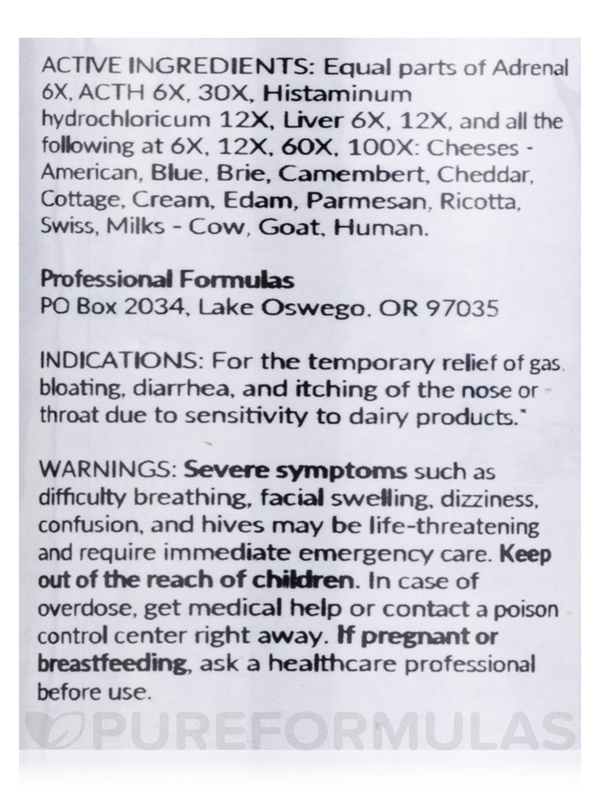 I've used Dairy Mix Allersode by Professional Formulas for years based on a suggestion from my former allergist. 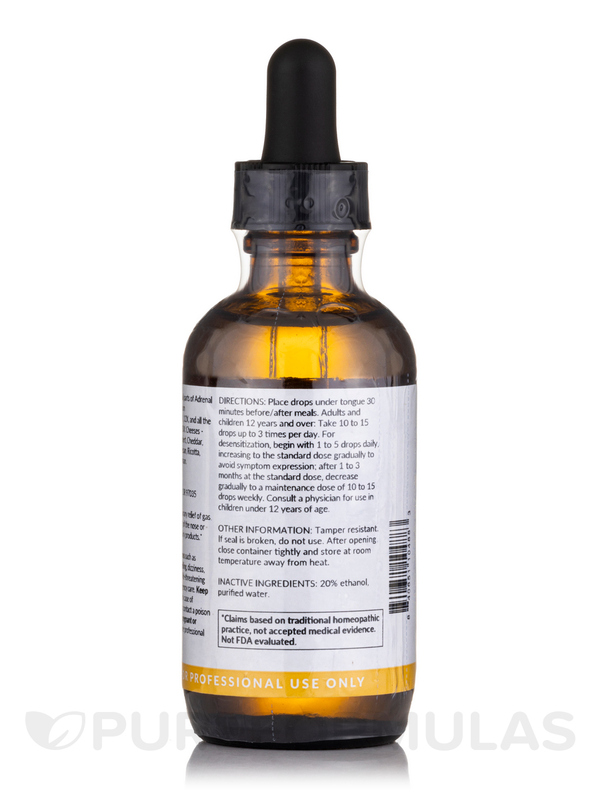 I have alot of food sensitivities and used to do allergy shots for them. Then he found these drops and they work just as well. Whenever I'm going out to eat I use them to prevent stomach upset and I have about 85% less episodes. I also use the meat drops. 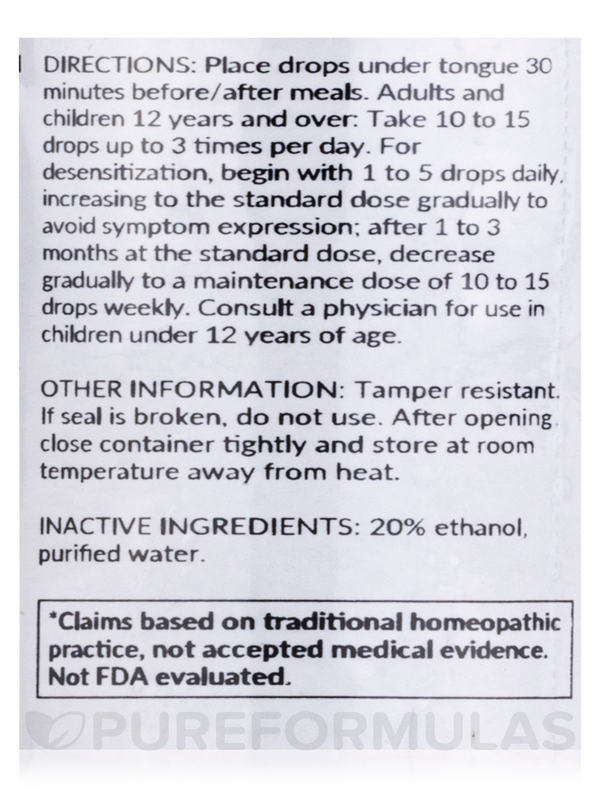 It tastes like medicine! But what do you expect!